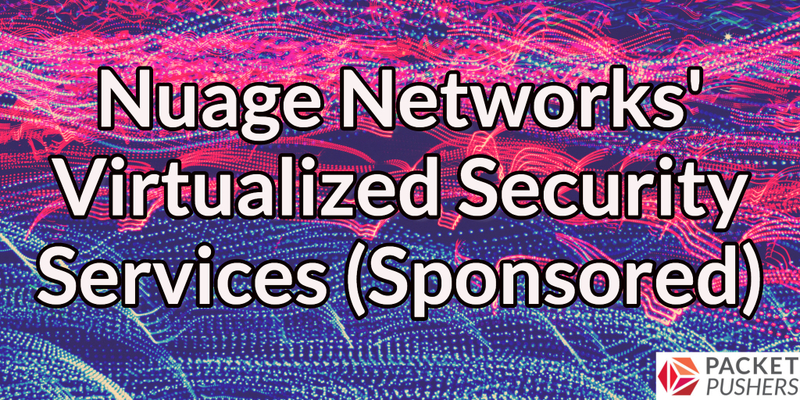 Today we’re talking with Nuage Networks, our sponsor for this episode, to learn about new capabilities in Nuage’s Virtualized Service Platform (VSP), a software-defined network platform for private clouds and SD-WAN. 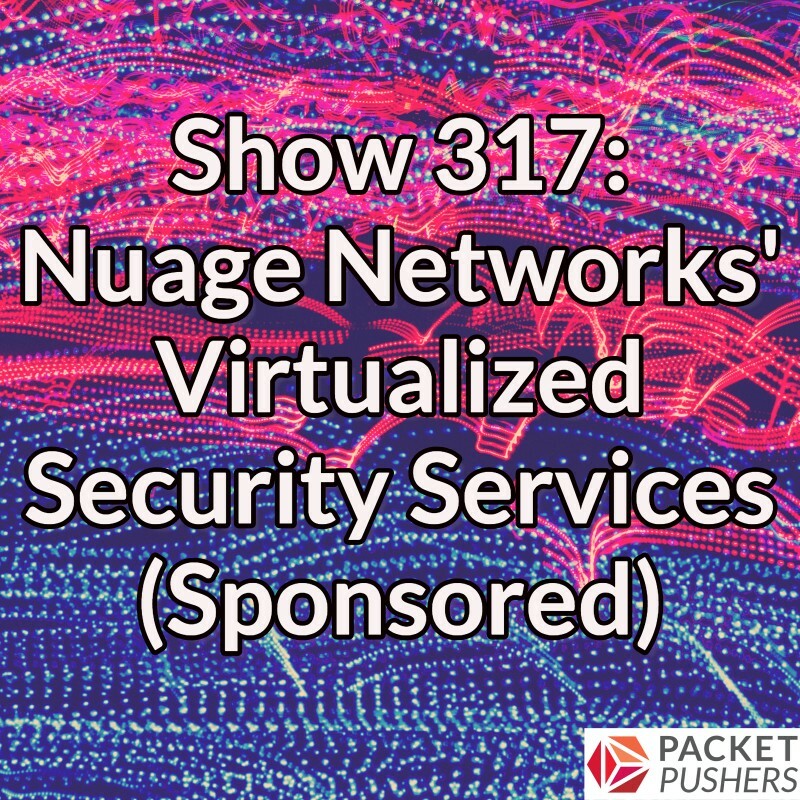 Hari Krishnan, Senior Director, Product Line Management at Nuage joins the Packet Pushers to discuss Virtualized Security Services (VSS), a brand new security module. VSS emphasizes real-time analysis and monitoring of traffic flows for adherence to security policies, and provides automated remediation of identified threats and/or anomalous behavior. VSS includes three features–VSS Prevent, VSS Detect, and VSS Respond– and provides capabilities to automate policy-based tasks in each of these areas. Krishnan and the Packet Pushers will dig into each of these features to explore how they work, and how they set Nuage apart from other software-defined security offerings. For additional details, see the links below, including Nuage Networks’ presentation at Networking Field Day 12.